When a person wants to connect his or her life with the sphere of study and knowledge, he or she usually needs to write a dissertation or a thesis paper in order to prove their level of understanding and professional skill related to a researched subject. Writing of some scientific papers should become an integral part of their learning process. However, if you don’t have enough time to accomplish your scientific work for some reasons, you may always entrust your task to the professional thesis help and keep researching and working on a more crucial assignment. Besides, this composition is not as simple as some previous projects. Sometimes it is better to secure yourself against an incorrect and nonprofessional piece of writing. So, the necessity to be able to create different scientific and research works, a thesis in particular, should become almost a habit. 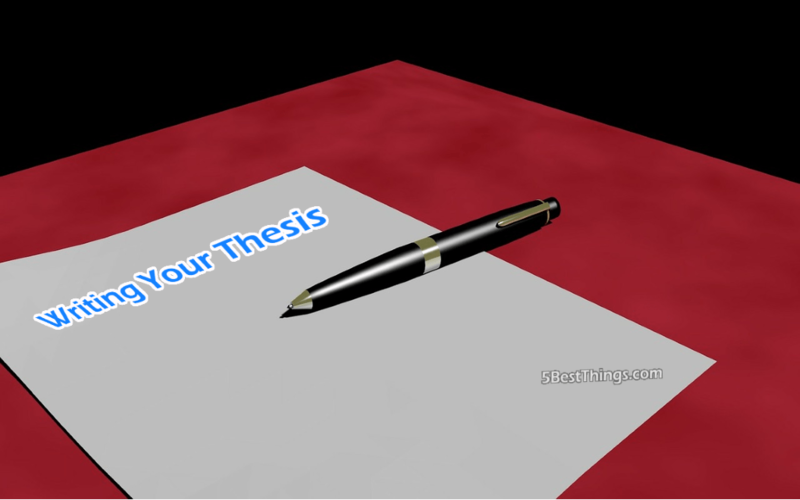 That is why Thesis Panda provide you with some efficient tips and recommendations on how to compose a proper thesis. Before you will meet a need for a scientific composition to be written to get a degree or a professional qualification, you won’t even suspect that a thesis is something different from a dissertation. The first one is a kind of a written work presenting some author’s investigations and analysis of a certain subject related to a professional qualification or academic degree a person wants to verify and obtain. The second serves to apply for a doctorate. Common requirements to the context and formatting may vary depending on a university, country, or region. The common outline of a paper differs from numerous essays or research reports you have written before. Nevertheless, some peculiarities and difficulties of the formatting and requirements still remain. The structure includes the following paragraphs and sections to be mentioned in your scientific paperwork: the introduction, body consisting of a detailed literature review, methodology, results, and discussions, and the conclusion with recommendations for further study or supporting material of a theory or hypothesis developed by a candidate. Formatting and text arrangement include a title page, abstract, table of contents, the main part (mentioned in the previous paragraph), a list of references or works cited, and all relevant appendices. It is useful to mention two general formatting types to apply for your thesis work. APA and MLA formats are a little bit different, and it is better to find out common formatting requirements of your university before handling any task. It is also of importance to notice the main composition aim of such work. Composing a thesis to support your candidature, you need to understand that any critical analysis of a phenomenon is what your committee is looking for. That is why, provide only trustful and reasonable supporting material from various primary sources. Make sure your implications are clear and substantial enough to present them. Write a coherent and professional scientific paperwork and get your degree to get a successful career.